Vacatures voor accountants, extern en intern, bij accountantskantoren, de Big Four en bij ondernemingen, financiële instellingen en de overheid. Voor Register Accountant en Accountant AA. Are you looking for a job that challenges you, with plenty of responsibilities and opportunities for growth? Are you enrolled in an RA study programme, do you have at least two years’ relevant work experience and is it your ambition to work in the public sector as an accountant? 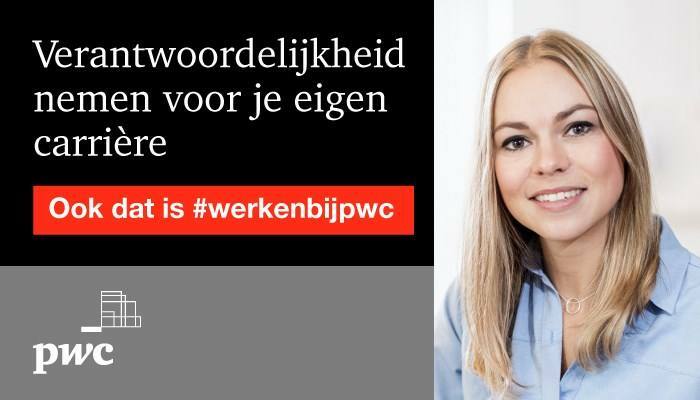 If so, then come and join PwC as an experienced assistant accountant (senior associate) and work at our public sector assurance practice in the Arnhem/Venlo/Nijmegen region. Working at PwC means working with a range of customers and inspirational colleagues under extensive employment conditions that have been put together with due consideration for your future growth and a flexible approach to work and life. We will take account of your personal circumstances. At PwC, you will work with a variety of customers and co-workers and become familiar with a number of different sectors at our financial services practice: banks, insurers, asset management, real estate and pension funds. We serve customers operating in the financial services sector both nationally and internationally. At PwC, we can offer you a broad financial services (FS) experience! Please send your application for Ervaren Assistent Accountant Public Sector at PwC in Arnhem/Venlo/Nijmegen including your CV via our website. Accountant-vacature.nl biedt een overzicht van alle vacatures voor accountants vanaf Auditcarriere.nl (Geen bemiddeling, alleen online posting). Een Accountant heeft goede arbeidsmarktperspectieven, bijv. doorgroeien naar Financieel Directeur of CFO. Accountant-vacature.nl is onderdeel van CareerGuide. CareerGuide beheert diverse specifieke, doelgroepgerichte vacaturebanken binnen de financiële dienstverlening en de financiële vakspecialismen. Wij richten ons op het zo compleet en informatief mogelijk presenteren van vacatures en de daarbij behorende organisaties.